1 - Take M77 / A77 south to Kilmarnock then follow A71 towards Irvine. 2 - After 2 miles at the roundabout take first exit following signs for Dundonald and Troon A759. 3 - On leaving roundabout turn right after 200yds on A759 to Dundonald. 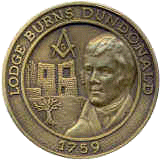 4 - Follow A759 for 3 miles to Dundonald. 5 - On entering Dundonald take first left on B730 Dundonald. 6 - Follow road for ½ mile in to village and Montgomerie Hall is on right hand side at top of hill next to the church. Travel to Kilmarnock to junction of A77 / A76 / A71 (Bellfield Interchange) and follow directions above. 1 - Travel to Irvine and take A78 towards Ayr and Prestwick Airport. 2 - At Meadowhead Roundabout on A78 take the Troon A759 exit. 3 - Travel ½ mile, at roundabout take first exit Dundonald A759. 4 - After 100yds, straight on at wee roundabout, go 2 miles to Dundonald. 5 - On entering Dundonald take 2nd right on B730 Dundonald. 1 - Travel north on A77 to Ayr. 3 - At Monktonhead Roundabout take 3rd exit staying on A78 for Irvine. 4 - Stay on A78 for 3 miles and take exit Dundonald A759. 5 - At roundabout take 3rd exit Dundonald A759. 6 - After 100yds, straight on at wee roundabout, go 2 miles to Dundonald. 7 - On entering Dundonald take 2nd right on B730 Dundonald. 8 - Follow road for ½ mile in to village and Montgomerie Hall is on right hand side at top of hill next to the church.